Matt Hoffmann, 28, is a jazz vibraphonist from Honesdale, Pennsylvania who has been working throughout the country for the past ten years, performing with Dan Levinson, Mark Shane, Allen Vache, and David Bennett, playing such venues as Lincoln Center, The Blue Note, The Summit Jazz Festival (CO), The Bickford Theatre (NJ), and the Carpenter Performing Arts Center (CA) among others. He is joined by internationally acclaimed jazz saxophonist Harry Allen. 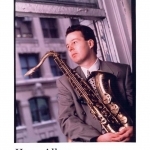 Allen has performed at festivals and venues worldwide and has played with such giants in jazz as Rosemary Clooney, Flip Phillips, Hank Jones, Kenny Burrell, Ray Brown, Frank Wess, Harry “Sweets” Edison, Herb Ellis, and Larry Goldings among others. Hoffmann and Allen first collaborated as part of the Jazz Fest at Sea line-up in 2014 and are now coming to the Deer Head Inn to share their music on Friday, March 18th. Drawing on the repertoire of such great vibraphone-saxophone collaborations as Lionel Hampton and Chu Berry, Milt Jackson and John Coltrane, Bobby Hutcherson and Dexter Gordon, the Matt Hoffmann & Harry Allen Quintet will be a swinging affair of mainstream jazz. 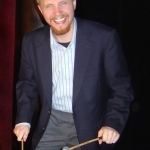 Rounding out the group are renowned pianist Mark Shane, bassist and respected educator Todd Coolman, and drummer Paul Wells who is a member of Vince Giordano’s Nighthawks.